Ready to kick up your Sunday shoes? Footloose turned out to be our third consecutive musical, and it didn't disappoint. Our students seemed to naturally have some fancy moves so Footloose allowed us to showcase their talent. The musical numbers from the show are the exact songs from the original movie soundtrack, so we brought the audience back to 1984 to sing along with such hits as "Almost Paradise" and "Let's Here It For The Boy." 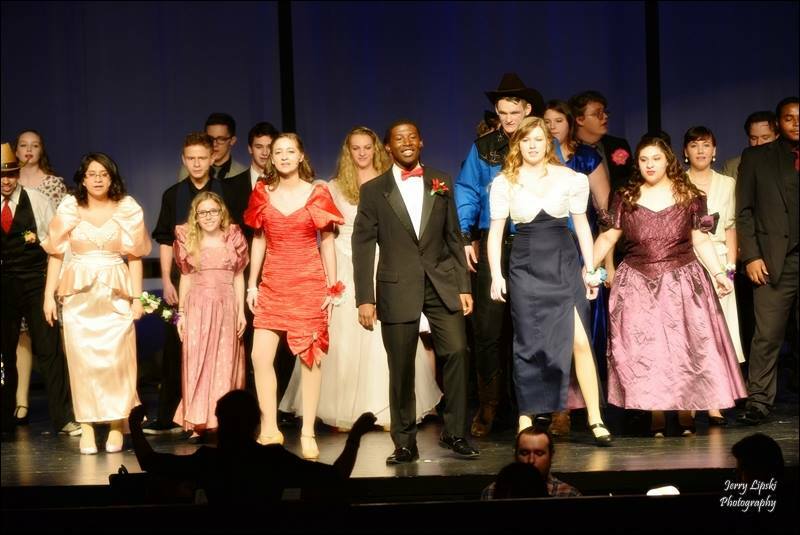 The crew did a great job of transforming our stage from the school, to the dance hall, and our costume crew had more costume changes than any show we have done before. We really cut loose with this season's closer.